I began my professional life as a writer, specifically as a poet. 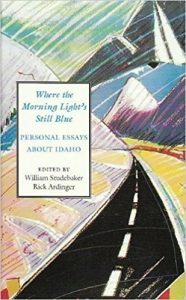 My publications include Complaints from the West-River Country (The Landlocked Press, 1986); An American Solace (Walrus and Carpenter Books, 1992); and quite a bit of miscellaneous poetry and prose that was published in small magazines and two anthologies published by major presses: Where the Morning Light’s Still Blue: Personal Essays About Idaho, (University of Idaho Press, 1994) and Beneath A Single Moon: The Legacy of Buddhism in American Poetry, (Shambhala/Random House, 1991). In 1994, I received the prestigious Bertha Morton Fellowship at the University of Montana, where I earned an MFA in creative writing in 1996. For several years thereafter, I focused on my teaching career and raising a family. Then, in 2003, I began to write a little poetry again. I sent out a poem or two for publication and was stunned to have won, after such a long publishing silence, first place in the William J. Shaw Memorial Prize contest for my poem “A Lesson.” The prize is sponsored by The Dunes Review, which published “A Lesson” and “Peach Monkey Nidana,” in its winter 2004 edition. “100-Word Water Blessing” appeared in the 2011 issue of Driftwood. I am slowly finishing another collection of poems, Master of the Nets. My life is characterized by some seemingly long, twining vines of contrasting, if not competing, interests and activities. These include my enduring love of writing of all kinds, but especially of poetry; my firm commitment to the transformational power of education; the curiously creative and powerful ability of contemporary technology to stimulate and amplify our teaching and learning; and my now 30-year commitment to Zen practice. 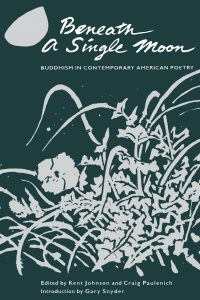 (I am a senior priest and transmitted teacher in the White Plum lineage of Zen Buddhism, the Dharma heir of Susan Myoyu Andersen, Roshi.) 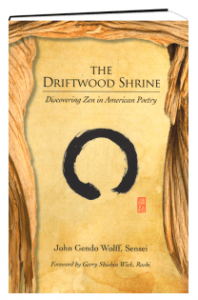 My life-long practice of Zen has now resulted in publication of The Driftwood Shrine: Discovering Zen in American Poetry, (Sumeru, 2016), a book that I believe appeals to both lovers of poetry and the Buddhist tradition. You can read more about the book here. Walt Whitman. Library of Congress.